Quick Pic - An AZ sunset fires up the sky! 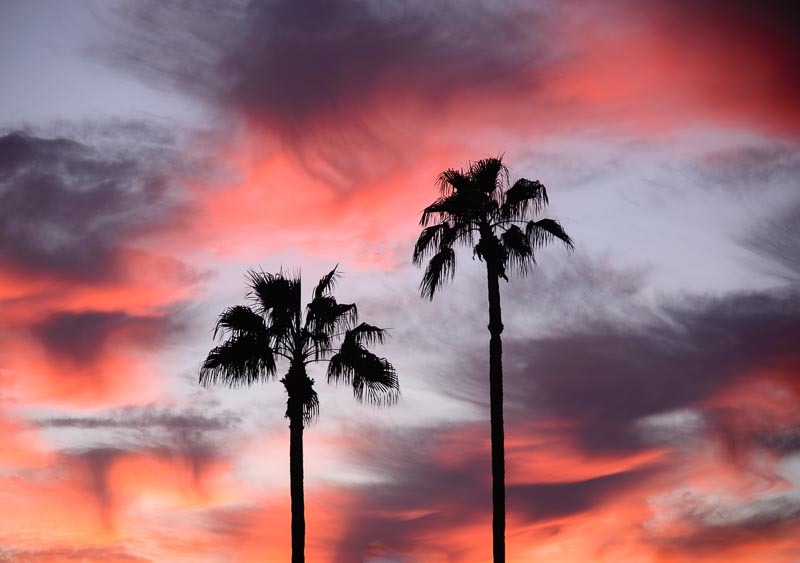 An AZ sunset fires up the sky! We went out for a stroll the other evening and suddenly saw the sky go wild with vivid pinks and dark storm clouds. The clouds won the battle for the sky in the end, and they spritzed not just us but also our truck that Mark had just spent the day washing and waxing. Ouch! Oh well, spots on a perfect wax job is a small price to pay for such a stunning sunset! Enjoy all our Quick Pics on one page here. This entry was posted in Quick Pics and tagged Arizona, Arizona Images, Quick Pics by Roads Less Traveled. Bookmark the permalink.